Cost-cutting has forced some local authorities to reduce expenditure by turning off lights in towns and on motorways. Belfast does not seem to have suffered in this way, as a look over the city from the surrounding hills will show. But the place was not always so brightly illuminated. The earliest arrangement in the 17th Century for lighting the streets of Belfast town required the inhabitants to hang out of their doors or shops “one lanthorne and candel” lit from the hour of seven o’clock till ten at night “when it was not moonshine, upon fine of six pence per night toties quoties to be levied”. An Act of Parliament of 1800 gave the town authorities powers to improve “the paving, lighting, cleansing and watching” of the streets of Belfast. As a result the Police Committee invited tenders for the erection and maintenance of street lighting. Four hundred oil lamps were ordered for the following winter. High, Castle, North, Waring and Donegall Streets were among the 14 thoroughfares to be lit. The first recorded use of gas lighting in Belfast was in 1810 in a private concern, the factory of Messrs McCrum Lepper and Co, near the Poor House (Clifton House). In 1821 John and George Barlow of London signed a contract with the Police Committee to provide gas lighting in the main streets of Belfast: “The said gaslight to be equal to that supplied to the public lamps in London and to be three times greater in brightness than the oil light now existing in said town of Belfast”. Lord Donegall laid the foundation stone of the Gasworks on the Ormeau Road in 1821. Fourteen miles of piping were laid and cast iron lampposts erected. On Saturday, August 30, 1823 immense crowds turned out to see the main streets of the town lit by gas for the first time. A column 23 ½ feet high was set up at the top of the High Street dock bearing an extra large light in the form of a dolphin’s head and producing illumination “equivalent to that contained in twelve bat-wing burners”. This “coronet of flame” at first refused to perform but the problem was quickly overcome and it “shone forth in full splendour”. Ann, Waring and Donegall were three of the ten streets lit by gas. Three stars burned on the Long Bridge, others blazed at the White Linen Hall and at the Commercial Buildings. Some shops also had gas lighting. The Irishman declared: “To compare the present gas lights with the late oil lamps would be comparing the meridian sun with the darkness of the tomb. The former lights threw a gloomy, sickening aspect on every object, while the present lights irradiate every point they reach…so strong is the ray of light from the great lamp at the bottom of our main street that we ourselves, at the distance of sixty yards, read very small print with the greatest facility.” The entire enterprise cost about £40,000. Belfast’s first public electricity supply was switched on on January 23, 1895. The generating station was situated in Chapel Lane and the dynamos were gas-powered. The following year the electricity committee recommended the system be extended, using steam-powered dynamos. The outbreak of war in 1939 brought about conditions reminiscent of the dim days of the 17th Century. With air raids in mind, government orders required local authorities to insure street lighting was either dimmed or extinguished; lighting in factories, offices, shops and houses had to be completely obscured; cars and buses were to screen their lights. Electric torches were in great demand. Users were required to dim the light with tissue paper and on no account to point it heavenwards. During the period of an air warning torches were to be switched off. The most recent developments in lighting are to be found in connection with the Streets Ahead programme. The intention is to revitalise city centre streets and to make them more attractive and safer by introducing better lighting. Look out for the lighting masts in Donegall Place. Also, about a hundred origin luminaires feature elsewhere: tall, attractive in appearance, they have single or double brackets at the top to hold the lights. Some have an origin street luminaire on the back of the pole for footpath illumination. 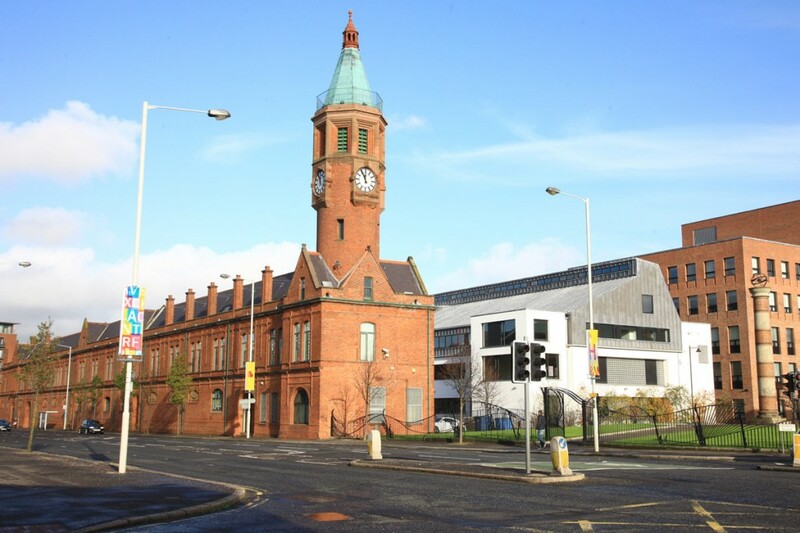 The society meets at 7.45 pm in the Ormeau Road library on the last Thursday of the month.